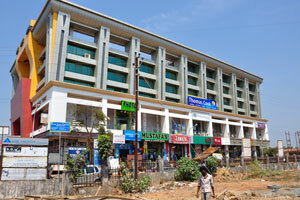 Also called Madgaon or Margoa, this is the largest commercial centre after Panaji and the capital of the state's richest and most fertile taluka, Salcete. 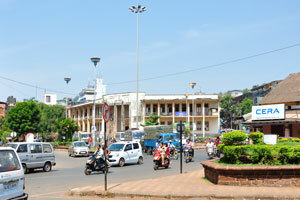 A pleasant provincial town it was given the status of a vila (town) by Royal decree in 1778. Tourism has had little impact on many parts of the town, and you can see old Portuguese domestic architecture and some fine church buildings while also experiencing daily life in a city going about its thriving business. 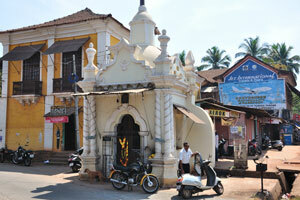 Margao is at the heart of its district and wider region. 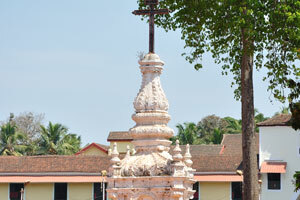 As the main station on the new Konkan railway linking Goa with Bombay to the north, and Mangalore and Kerala to the south, and also a major station on the newly widened broad gauge railway which runs from Vasco to central India, Margao will become the hub of Goa's transport connections with the rest of India. Market. 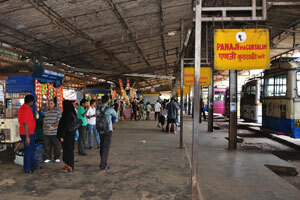 The covered Market is interesting to walk around. 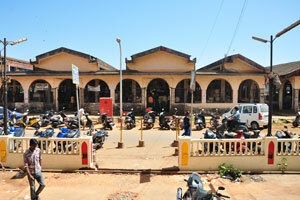 The Old Market was rehoused in the 'New' (Municipal) Market in town. The covered Market is not at all touristy although holidaymakers come here from the beaches for their 'shopping trip' to avoid paying inflated prices in the resorts. Monday-Saturday, 0800-1300,1600-2000. Other attractions. 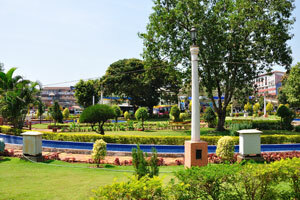 The pleasant Municipal and Children's Parks are near the City Bus Stand. Monte Hill, a hillock, has good views over the town and surroundings up to the coastal palms beyond paddy fields ('Motorcycle Taxis' charge few rupees for return trip, from centre). 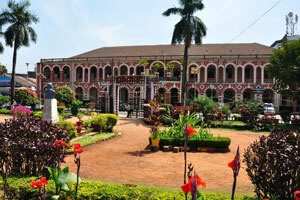 The town also boasts Goa's largest football stadium of international standard which can seat 40,000. 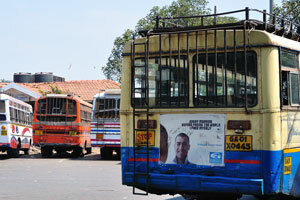 Kadamba Bus Stand: the place for the bus. 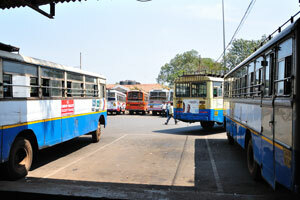 Kadamba Bus Stand. Advertisement: Every morning before facing the world, I face myself. 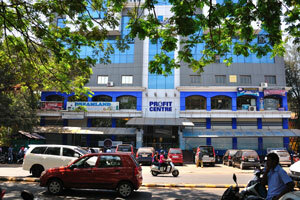 Profit Centre is found near the Kadamba Bus Stand. 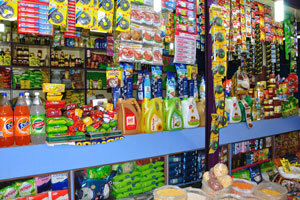 Shopping center: Thomas Cook, Mustafa's, Jina's, LG. 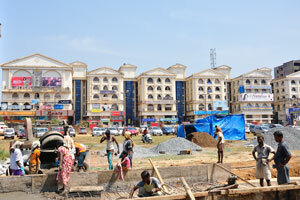 Construction work near the Kadamba Bus Stand is in progress. 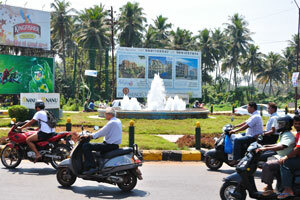 Fountain at the city's main highway. 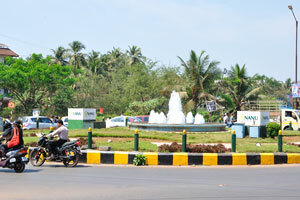 Fountain is surrounded by a ring road. 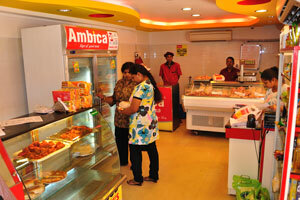 Rebello Undertaker & Rebello Advertising Agency. One of the constructions of the Holy Spirit Church. Holy Spirit Church (Roman Catholic Church). 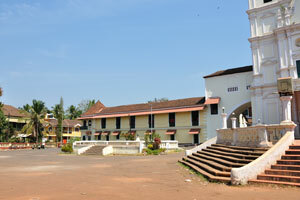 The courtyard in front of the Holy Spirit Church. India Gypsum Interiors near the Holy Spirit Church. Large courtyard of the Roman Catholic Church (Holy Spirit Church). 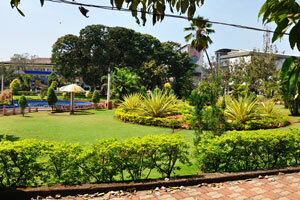 Lush green lawns in Margao. The sun is very strong and wants to bake our heads in the noon. 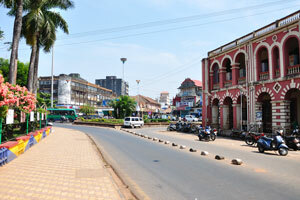 Abade Faria Road. 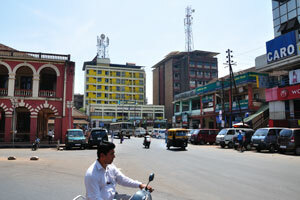 Abade Faria Road. 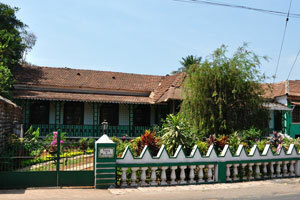 Two storey building with portuguese design. 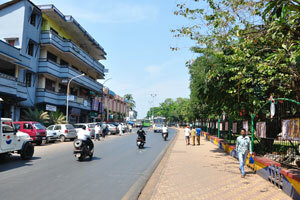 Abade Faria Road. 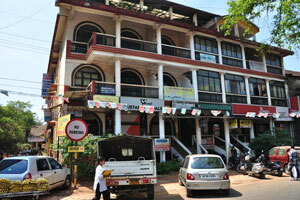 Two storey building with large arches. Communications, 68, Abade Faria Road, ph. 733866. 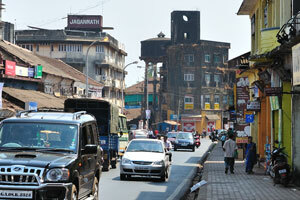 Abade Faria Road. 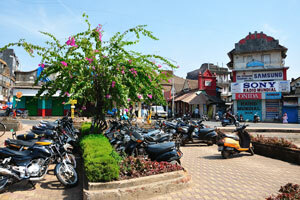 Margao streets adorned by blooming pachypodium plants. 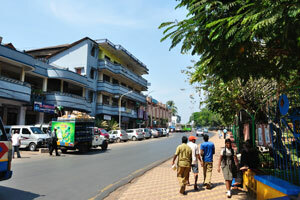 Abade Faria Road. Vista de Avenida. 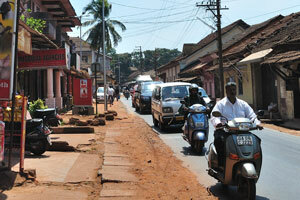 Abade Faria Road. Insight - the eye care clinic: eye care, cataract and phacoemulsification services. 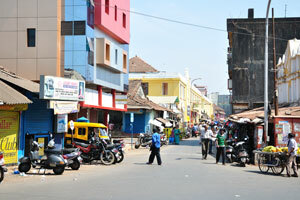 Abade Faria Road. 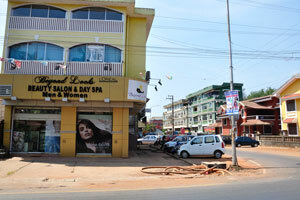 Beyond Looks L'Oreal: Beauty Salon & Day Spa. 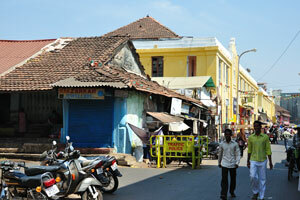 Abade Faria Road. 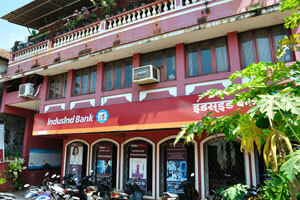 IndusInd Bank. 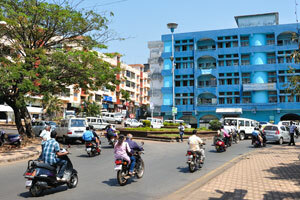 Abade Faria Road. 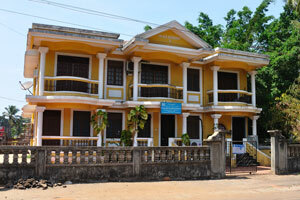 Goa Dental & Surgical Co., Casa dos Aliados, C.S. 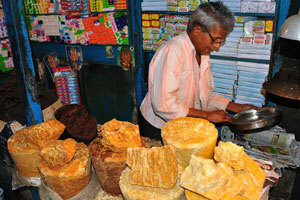 Sequeira Coffin Maker. 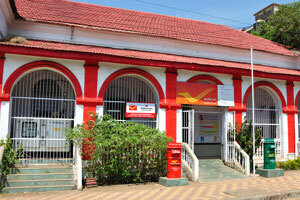 Margao Head Post Office 403601 (India Post), MoneyGram. 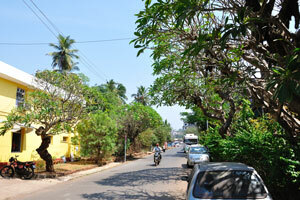 This road is bordered with the northern side of Margao municipal garden. 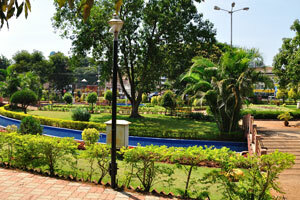 Margao municipal garden: the northernmost tip of the garden. 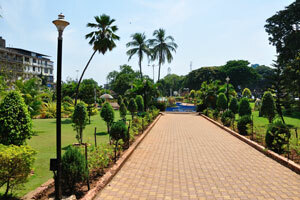 Margao municipal garden: the northern part of the garden is closed to the public. 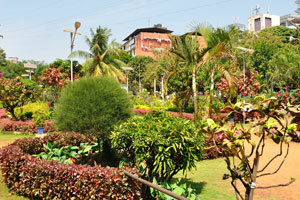 Small landscaping trees are everywhere in the Margao municipal garden. 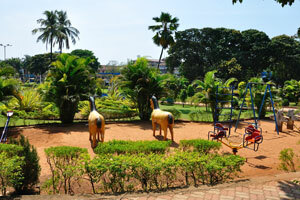 Margao municipal garden: toy horses and little swing. 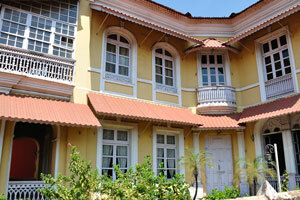 Government of India: Office of the Collector & District Magistrate (South Goa District, Margao). 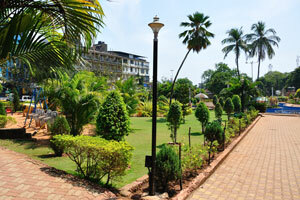 Margao municipal garden: green lawn and agaves. 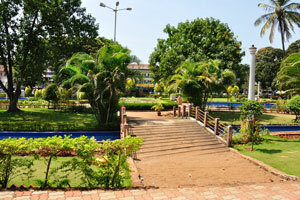 Margao municipal garden: garden bridge. 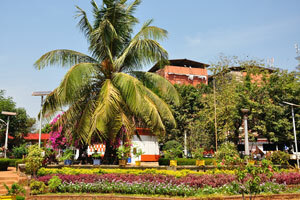 Margao municipal garden: different types of palm trees are growing here. 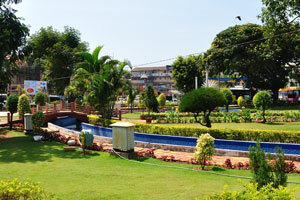 Artificial water channel laid around the circumference of the Margao municipal garden. 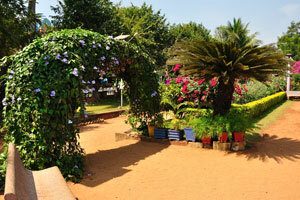 The greenest part of the city. 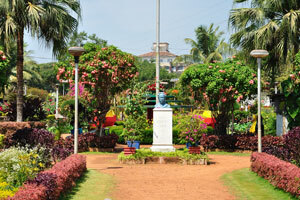 Margao municipal garden is a cluster of different landscapes. 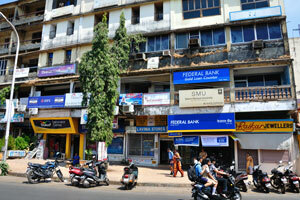 Federal Bank - Gold Loan Counter (Margao Branch), Sikkim Manipal University. 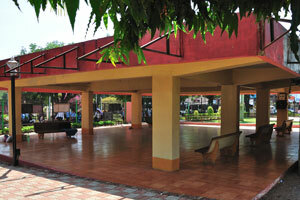 Margao municipal garden: place for the rest in the shade. 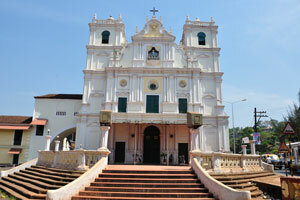 Our Lady of Grace Church. 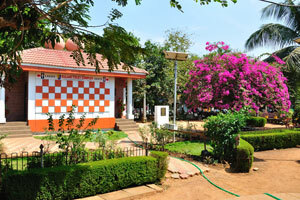 Margao municipal garden: Sulabh Toilet Complex. Ladies & Gents. 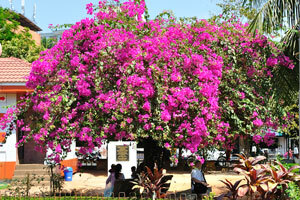 Margao municipal garden: huge pink tree in blossom. 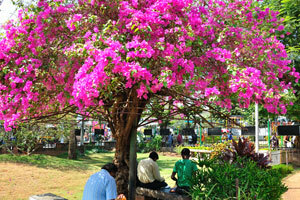 Margao municipal garden: people like to sit in the shade of the pink tree. 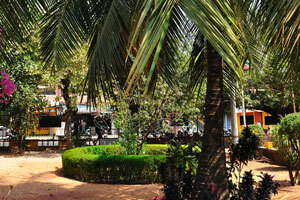 Margao municipal garden: huge palm tree. 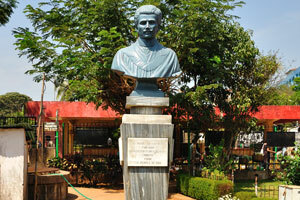 Margao municipal garden: D. Miguel de Loyola Furtado, tribute from the people of Goa. 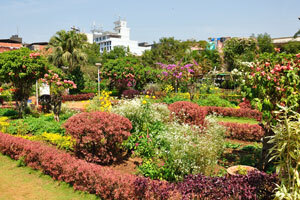 Margao municipal garden: different color rows from the flowers. 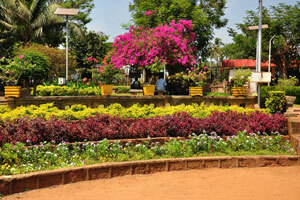 Margao municipal garden: the abundance of flowers. 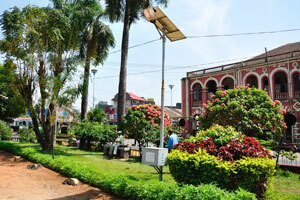 Margao municipal garden: landscape bushes with light-red flowers. 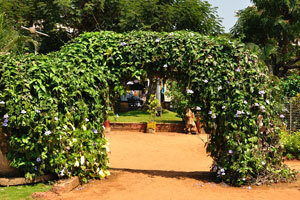 Margao municipal garden: the arch made from the lush green. Margao municipal garden: Cycas revoluta (the sago cycad) near the garden arch. 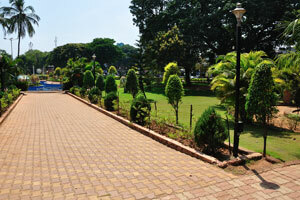 Margao municipal garden: there are many pathways of brick color inside the garden. 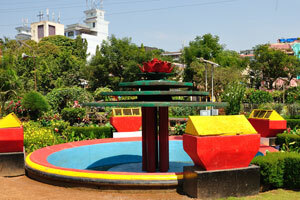 Margao municipal garden: fountain without water. 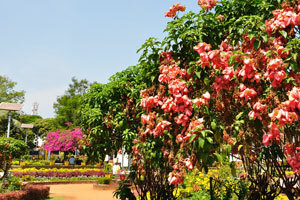 Margao municipal garden: landscape bushes of vinous color. 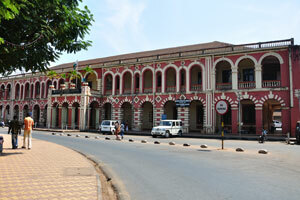 Margao city hall as seen from Margao municipal garden. 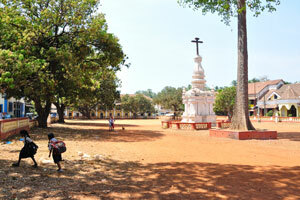 Margao municipal garden: Agostinho Vicente Lourenco (1822-1893). 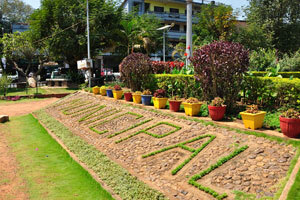 Margao municipal garden: the word "Municipal" is lined with grass. 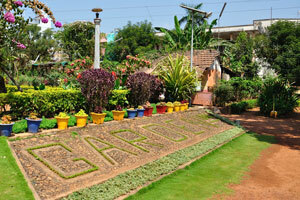 Margao municipal garden: the word "Garden" is lined with grass. 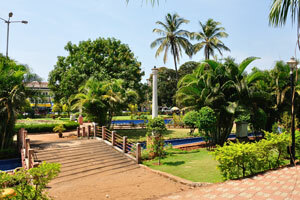 Margao municipal garden: royal palms. 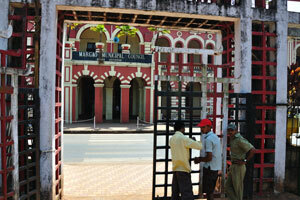 Margao municipal council as seen from Margao municipal garden. 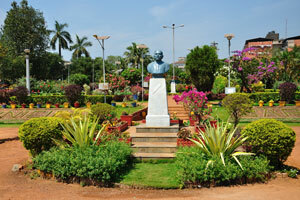 Margao municipal garden: Luis de Menezes Braganza (1878-1938). 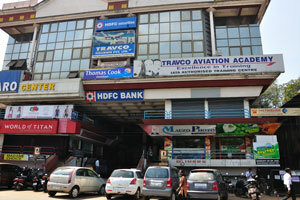 Caro center, HDFC Bank, World of Titan. 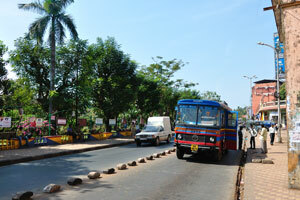 Road, bordering with the western side of the Margao municipal garden. 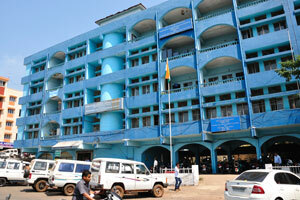 Margao municipal council and Margao municipal library. 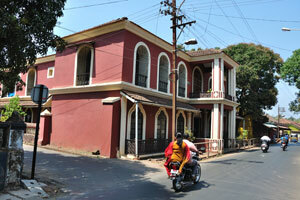 Backside of the Margao city hall. 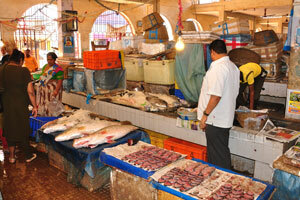 The Old Fish Market is almost empty now. 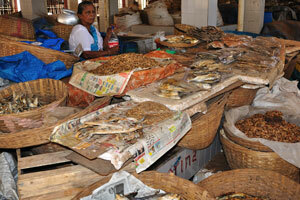 The Old Fish Market has a very small range of seafood. 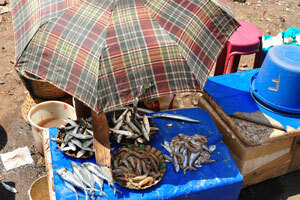 The Old Fish Market: it is not a good idea to selling fish under the direct sunlight. 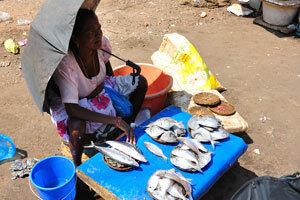 The Old Fish Market: fish vendor. 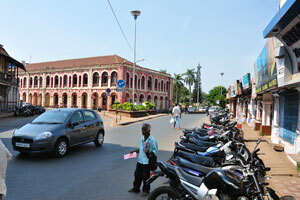 Margao city square in the noon. 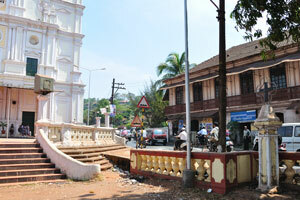 Margao roads are overloaded with traffic. This road goes along the New Market. 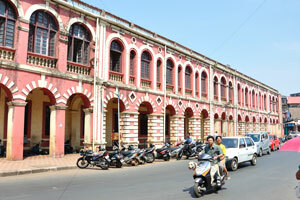 Margao city hall as seen from New Market. 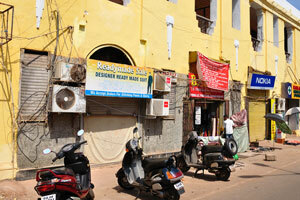 Nagzarkar Jewellers near Margao city square. 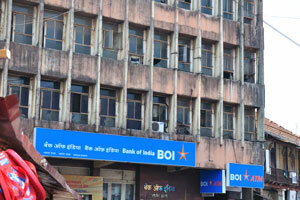 Bank of India (BOI, Margao Branch) near Margao city square. 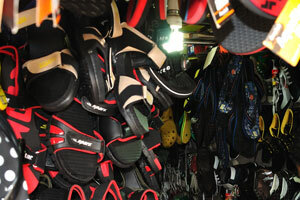 New Market: slippers and beach sandals. 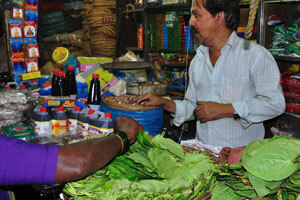 New Market: betel leaves, used for the preparation of paan. 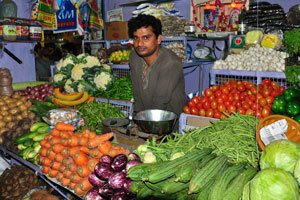 New Market: huge vegetable assortment. New Market: carrots, eggplants, cucumbers, onions, cauliflower and tomatoes. 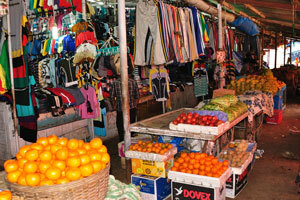 New Market: shop selling fresh juice. 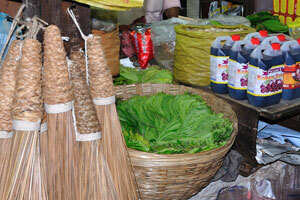 New Market: small food stalls with vegetables and soup additives. 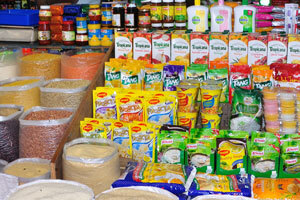 New Market: soup additives and toothpaste. 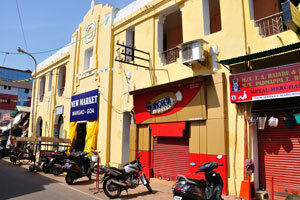 New Market: yellow building of the covered market. 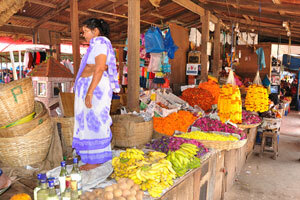 New Market: chiku, bananas and flowers. 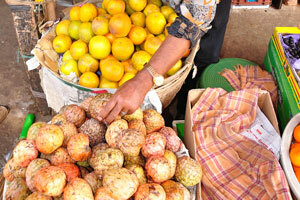 New Market: oranges and custard apples. 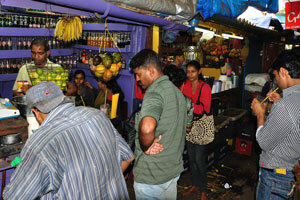 New Market: vendor takes custard-apples in his hands. 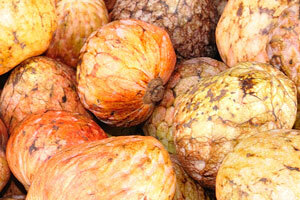 New Market: ripen custard-apples on sale. 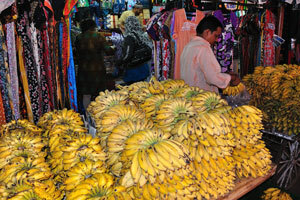 New Market: huge heaps of bananas. 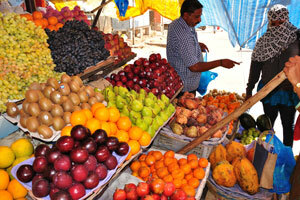 New Market: mandarins, oranges, pomegranates, watermelons. New Market: apples and grapes. 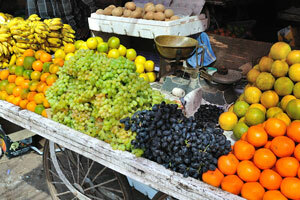 New Market: green and black grape, bananas and oranges. 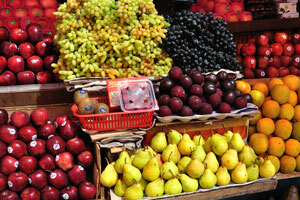 New Market: pears, plums, pomegranates, custard-apples and mangoes. 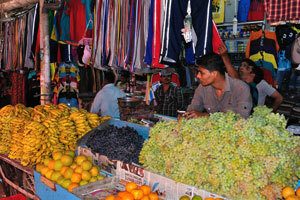 New Market: watermelons, bananas, chiku, grape and oranges. 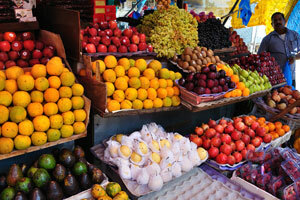 New Market: lychee, pears, pomegranates, custard apples, papaya, strawberries. 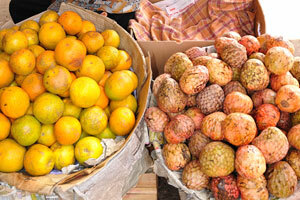 New Market: red apples, green pears, custard apples and orange papayas. New Market: very cheap tomatoes and cucumbers. 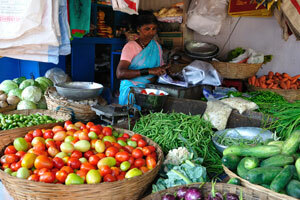 New Market: great assortment of the vegetables on sale. 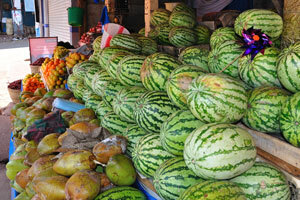 New Market: watermelons and coconuts. 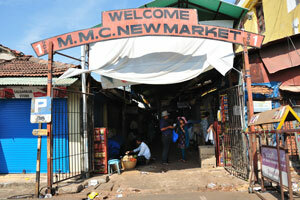 New Market: entrance to the covered market. 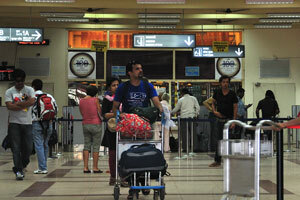 New Market: gate number one. 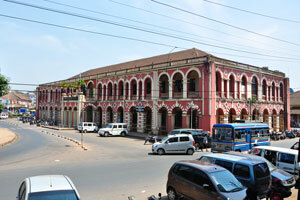 Margao city square: south view of the municipal council building. 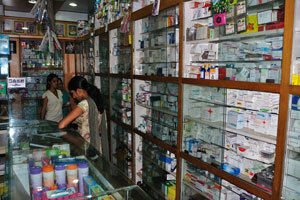 Margao city square: inside the pharmacy. 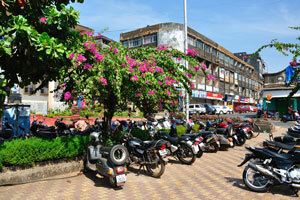 Margao city square: motorbikes parking place. 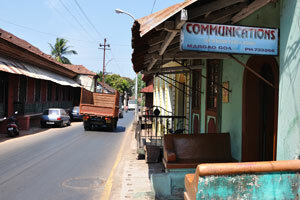 Margao city square: Sony Radio Mundial. 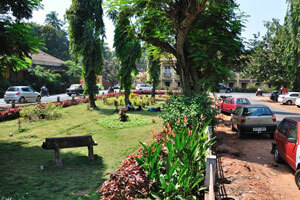 Margao municipal garden: bus stop to south direction. 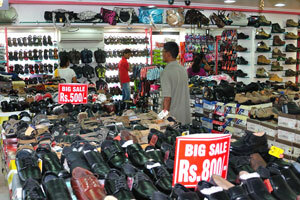 Inside the Boots: shoes sale from 500 rupees to 800 rupees. 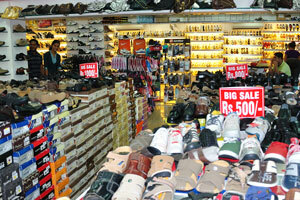 Boots shop: sale from 500 rupees to 1000 rupees for every pair of shoes. 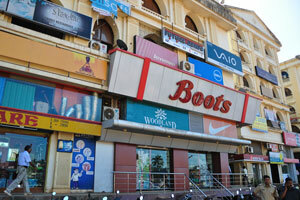 Boots shop: flip-flops and sneakers. 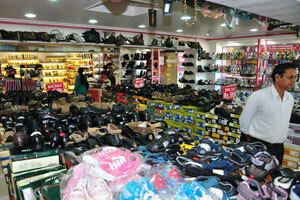 Boots shop is full of quality and affordable footwear. 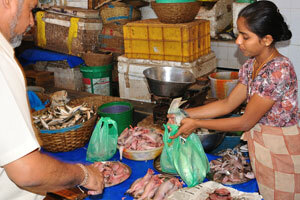 Grocery shop with chicken products near fish market. 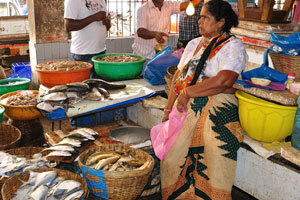 New fish market near Kadamba Bus Stand. 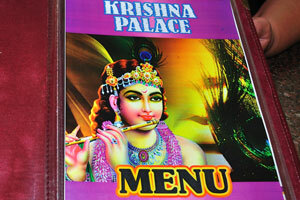 Krishna Palace Menu cover page. 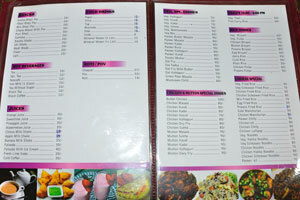 Krishna Palace Menu (near New Fish Market): snacks, hot beverages, juices, cold drinks. 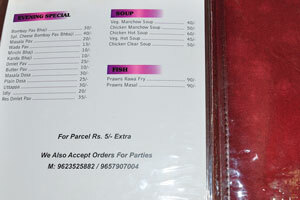 Krishna Palace Menu (near New Fish Market): evening special, soup, fish. 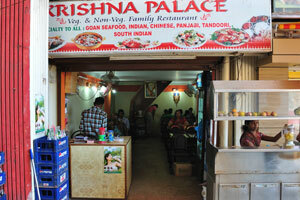 Krishna Palace (near New Fish Market): chicken 65. 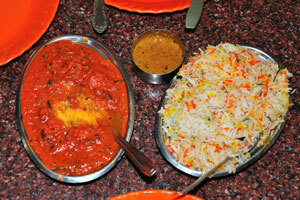 Krishna Palace, Veg. & Non-Veg. Family Restaurant. 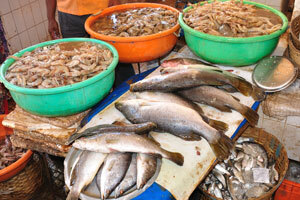 Fish Market: fish and shrimps. 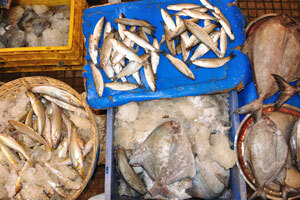 Fish Market: fish of small size. 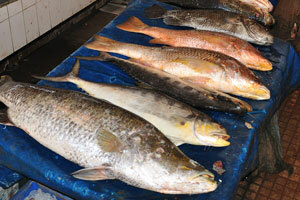 Fish Market: gray grouper and shrimp. 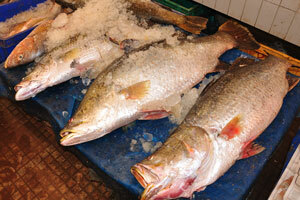 Fish Market: big fish with large scales. 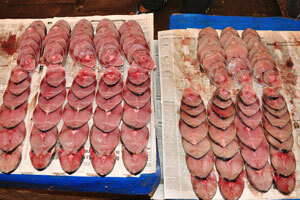 Fish Market: fish fillets in slices. 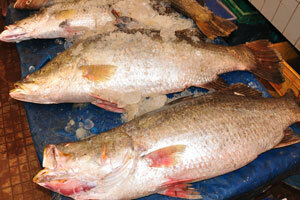 Fish Market: fish sprinkled with ice. 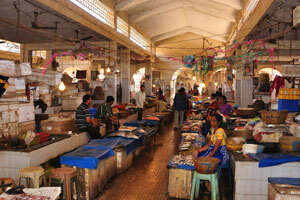 Fish Market: retail stalls in the covered pavilion. 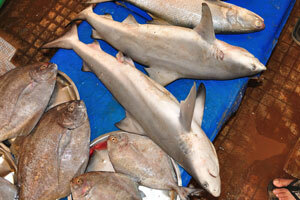 Fish Market: fish with sharp teeth. 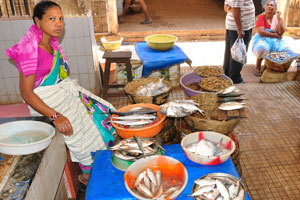 Fish Market: bored fish vendor. 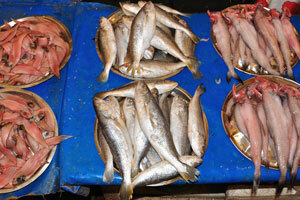 Fish Market: fish assortment of small sizes. 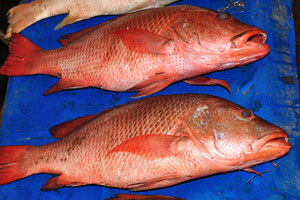 Fish Market: huge red groupers. 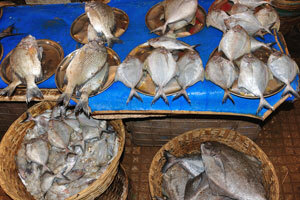 Fish Market: a small triangular-shaped fish. 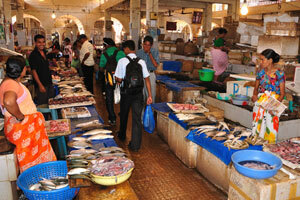 Fish Market is full of fish. 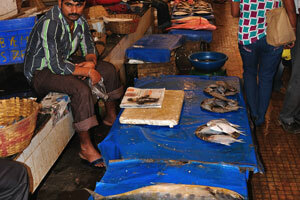 Fish Market: a little bit wet here on the floor from the melted ice. 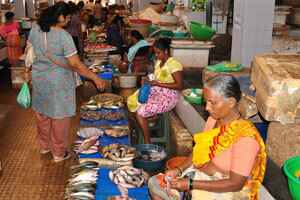 Fish Market: there are many Indians came here to buy fish. 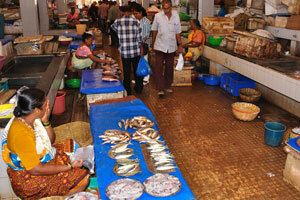 Fish Market: all people leave the market with a complete packages of fish. 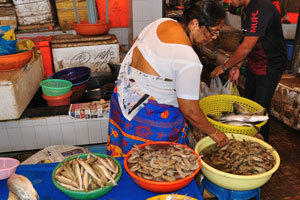 Fish Market: woman sells the prawns. 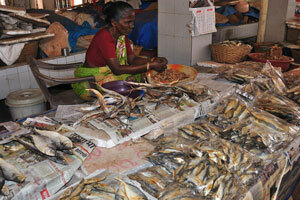 Fish Market: man is buying the small fish. 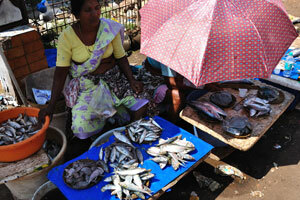 Fish Market: fish vendor in the end of the pavilion. 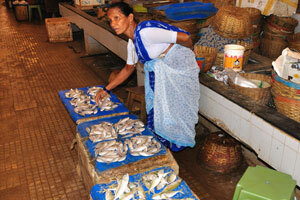 Fish Market: woman cleans fish. 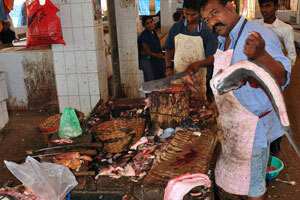 Fish Market: man cleans red snapper. 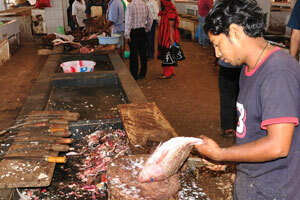 Fish Market: man who cuts big fish. 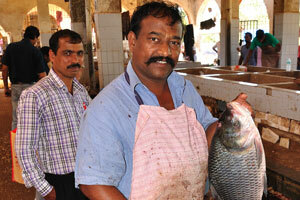 Fish Market: man with big fish and big knife in his hands. 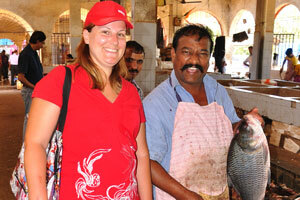 Fish Market: my wife and man who cuts the fish. 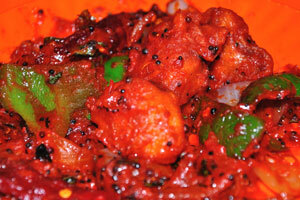 One more covered pavilion after Fish Market: red pepper. 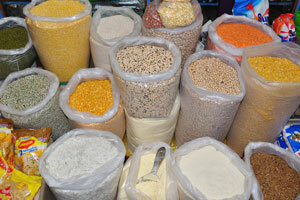 Market near Kadamba Bus Stand: grains. 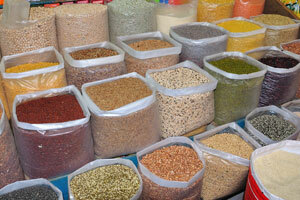 Market near Kadamba Bus Stand: huge assortment of grains. 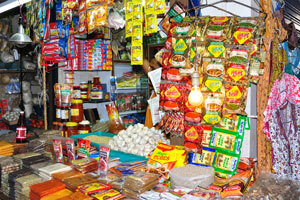 Market near Kadamba Bus Stand: small grocery stall. 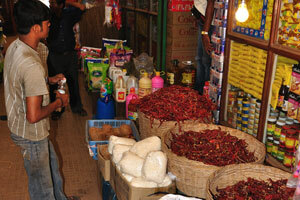 Market near K.B.S. 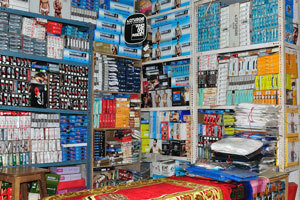 : shop with household goods for men. 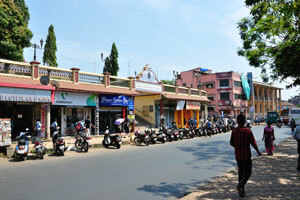 Market near K.B.S. : grains like rice and peas. 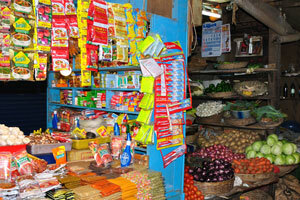 Market near K.B.S. : cleaners and toothbrushes. 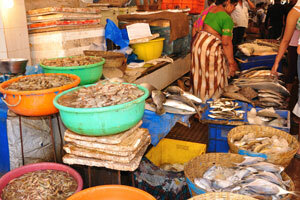 Market near K.B.S. 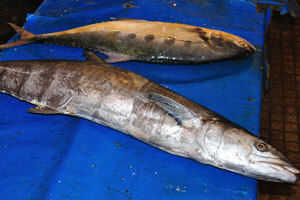 : big fish of different types. 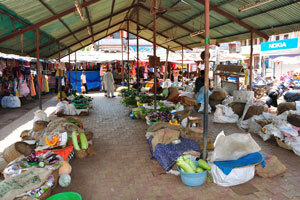 Market near K.B.S. 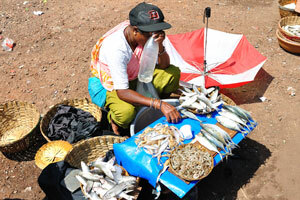 : every basket with fish has filled with ice. 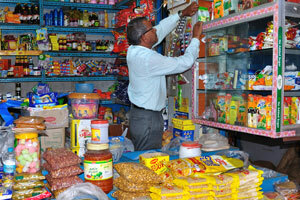 Market near K.B.S. 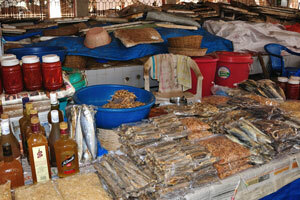 : vendor of the dried fish. 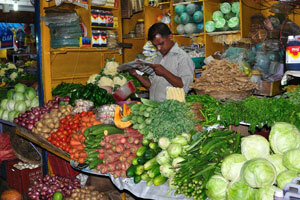 Market near K.B.S. 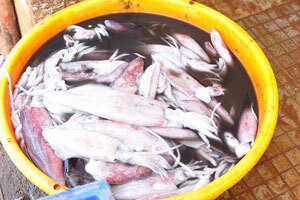 : one have to put this dried fish in the water dish before frying. 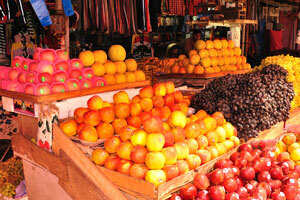 Market near K.B.S. : you can buy here tasty dried prawns. 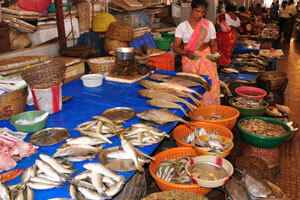 Market near K.B.S. : four types of dried prawns. 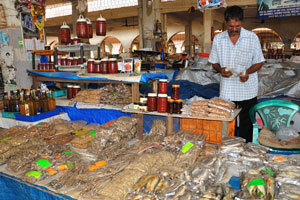 Market near K.B.S. 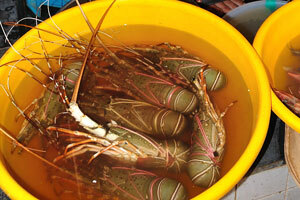 : dried prawns are very tasty and cheap. 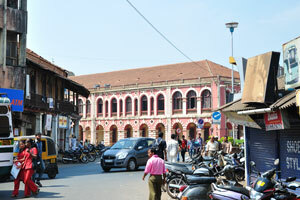 Market near K.B.S. 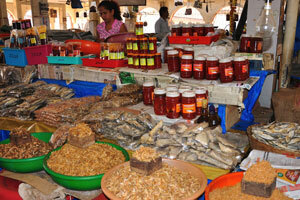 : one more stall with dried prawns and dried fish. 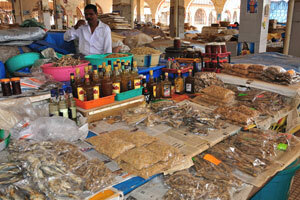 Market near K.B.S. 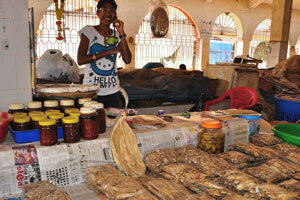 : young dried fish vendor.